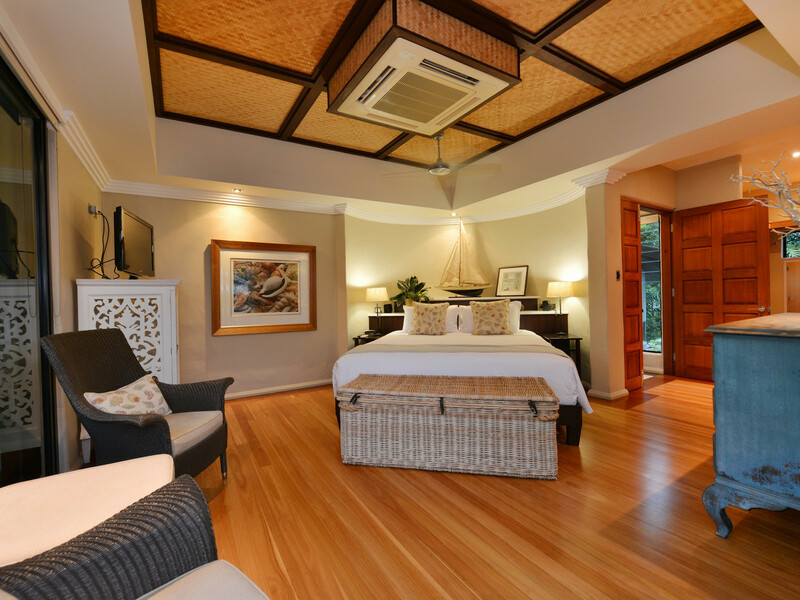 Solander Sunrise has been created with relaxation in mind; small enough to feel private yet large enough to accommodate two families or eight people. 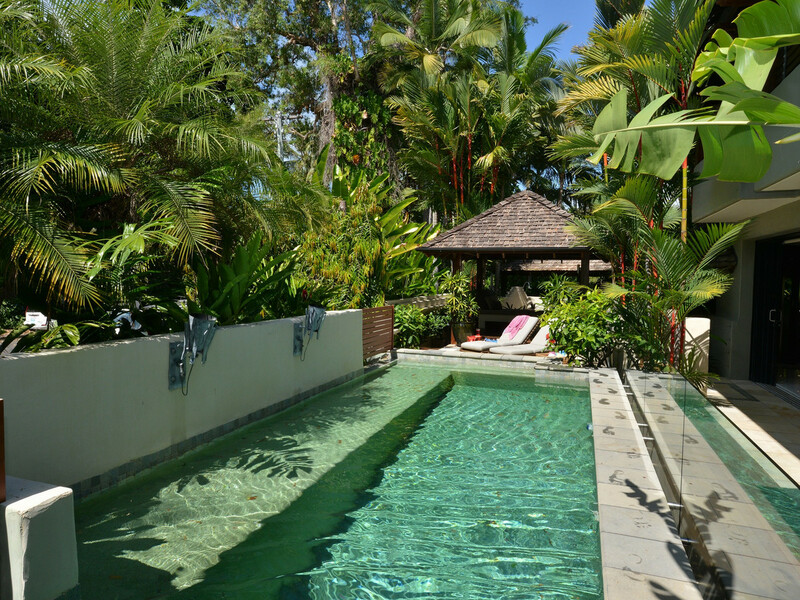 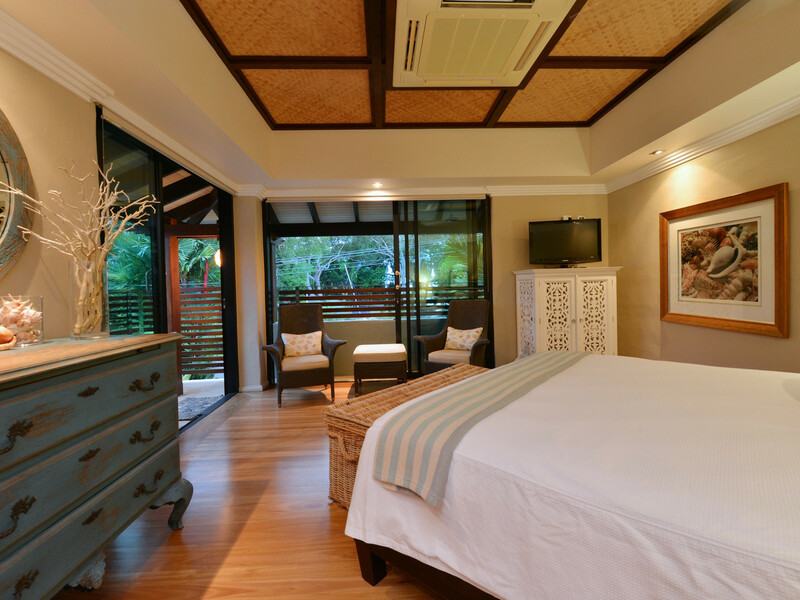 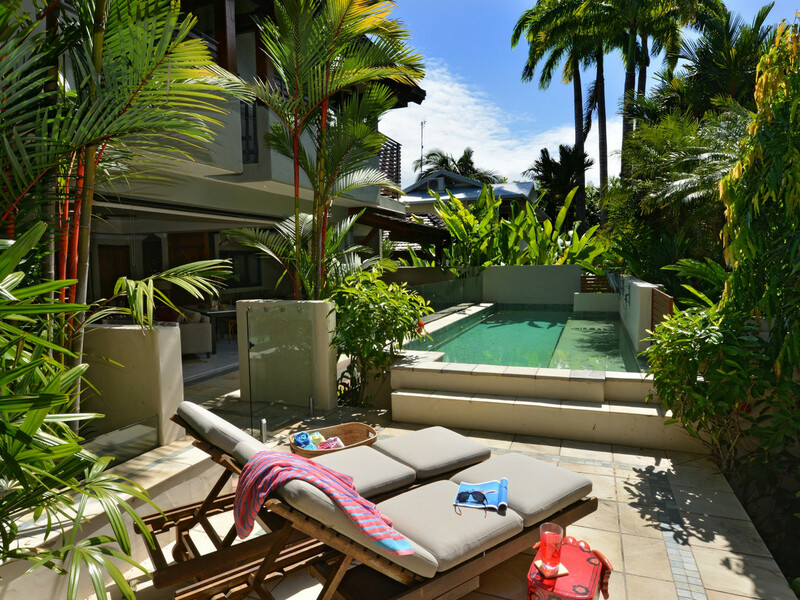 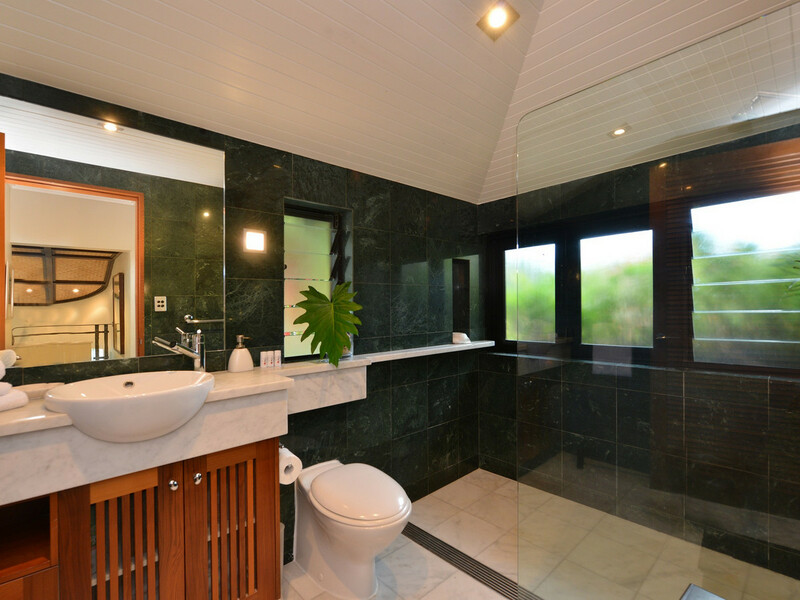 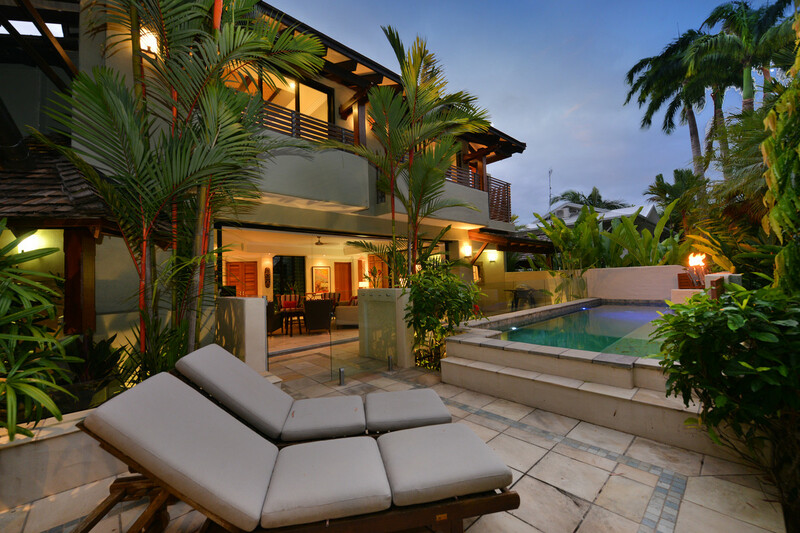 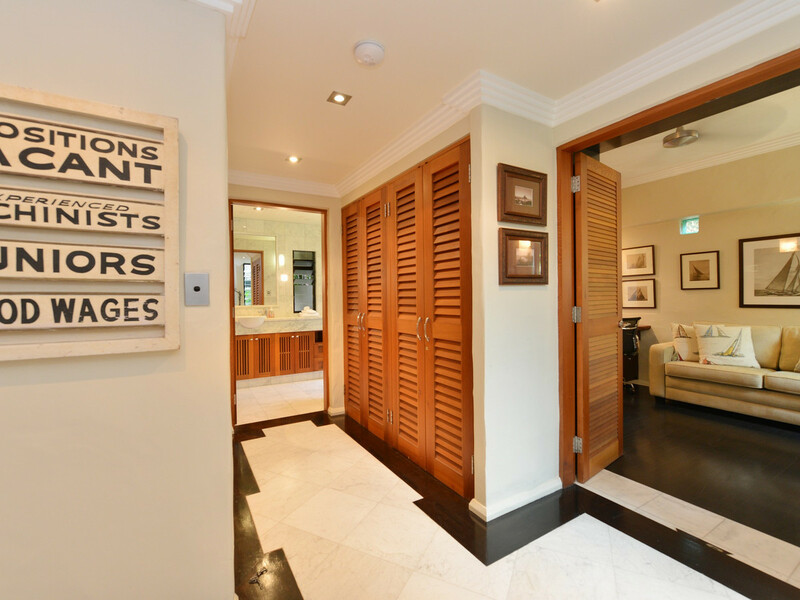 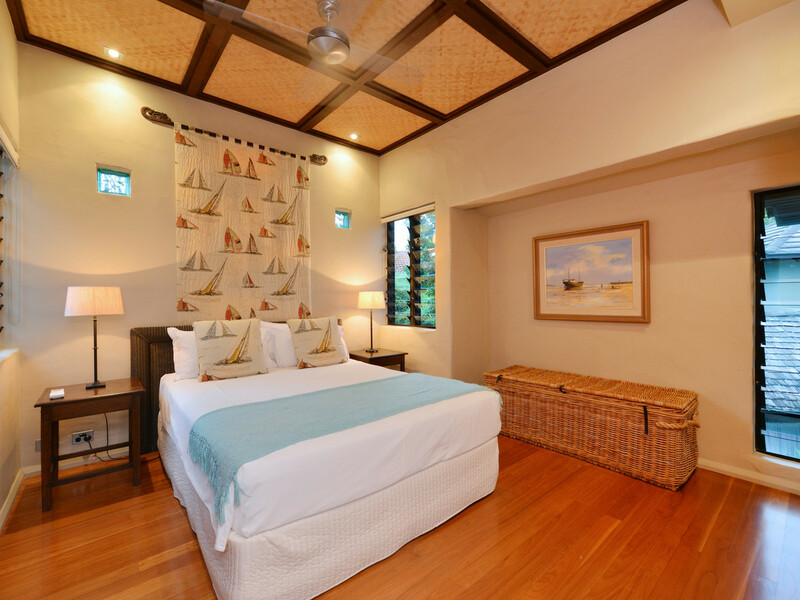 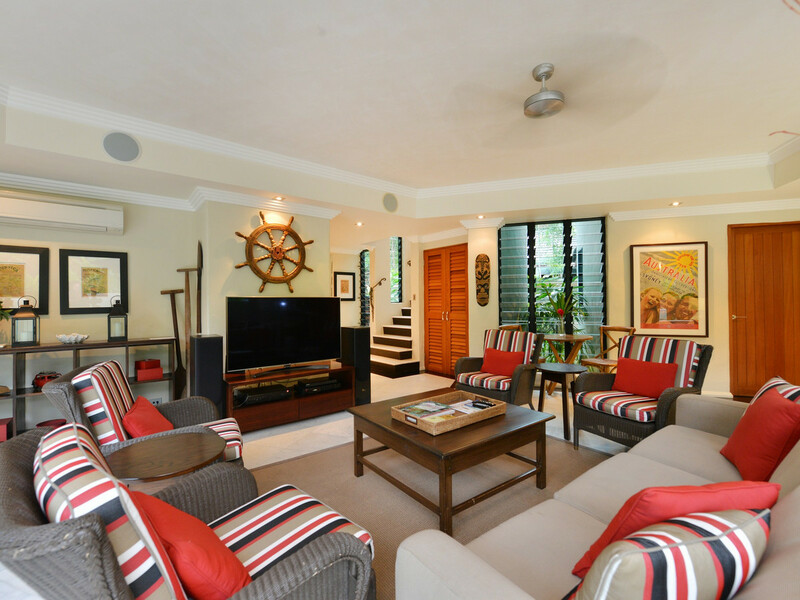 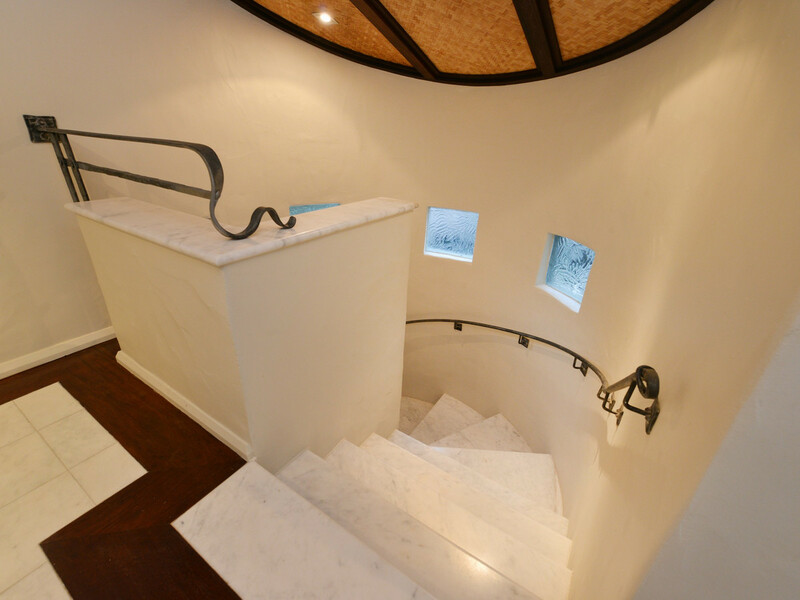 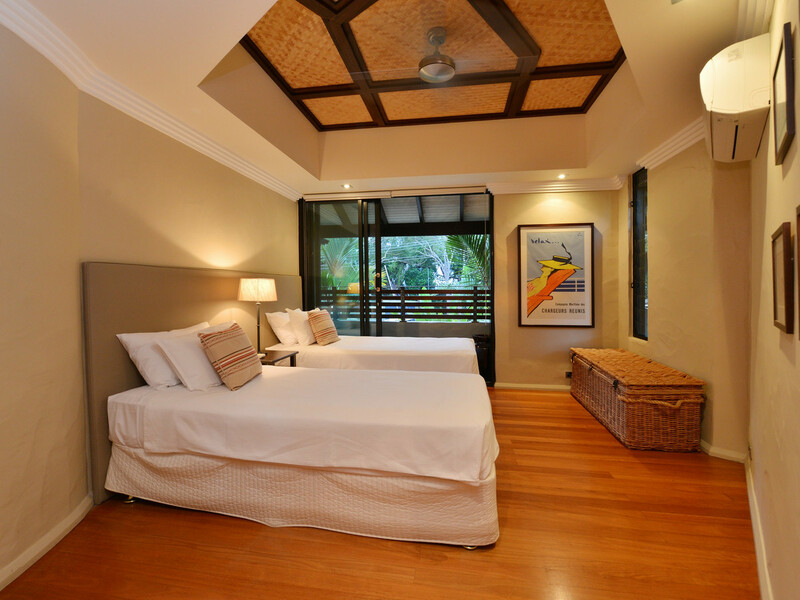 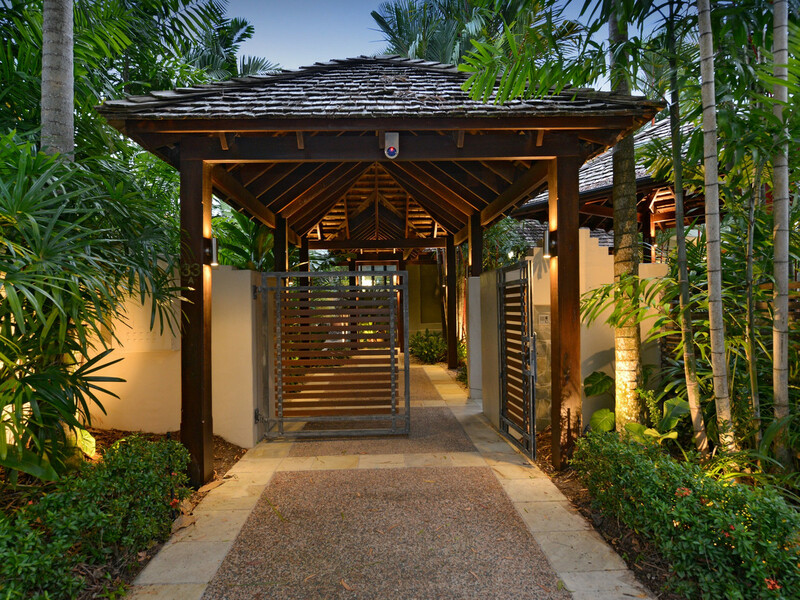 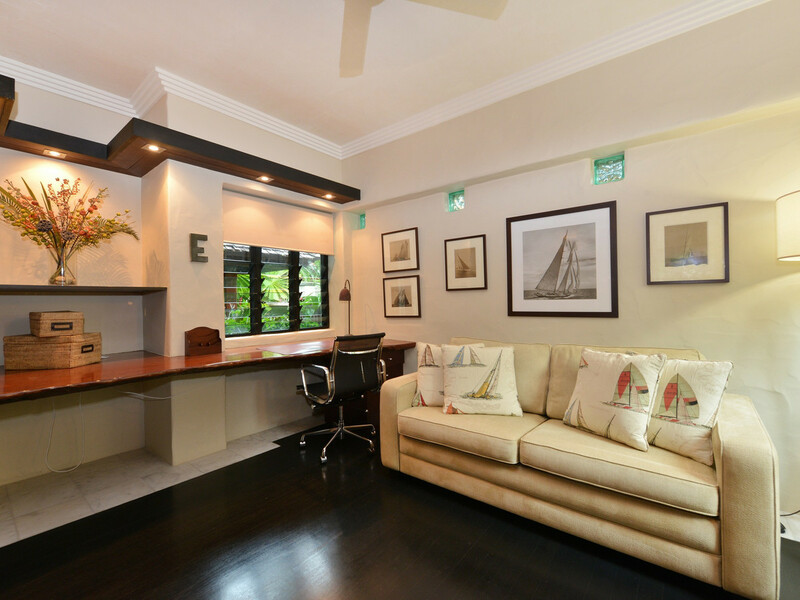 A designer house exquisite in every detail, built to blend harmoniously with its tropical surrounds. 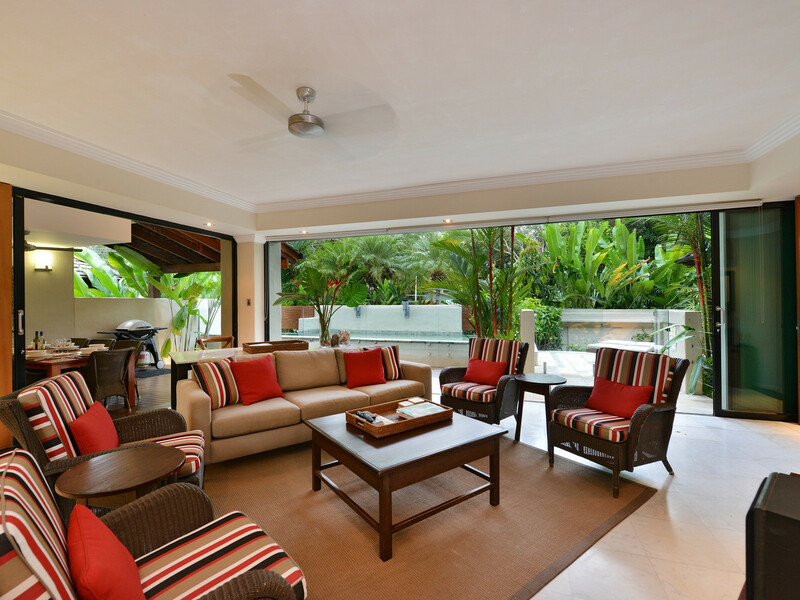 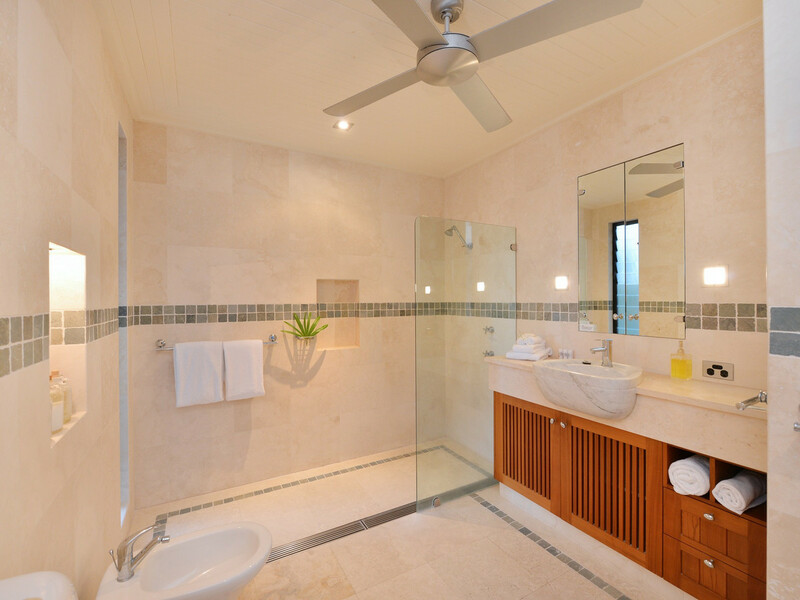 The interior colour schemes reflect the natural tropical beach location. 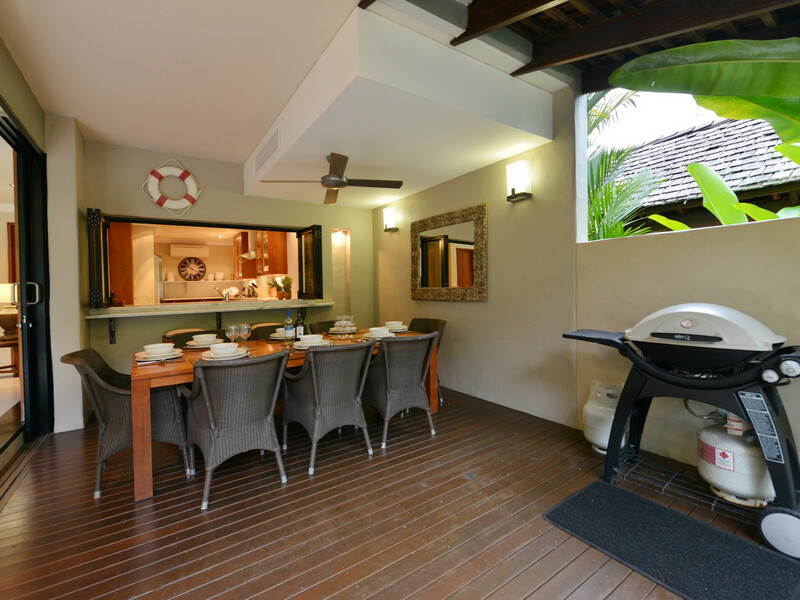 Let the outside in with sliding doors that seamlessly open onto the large deck with heated lap pool and views towards the tropical foreshore. 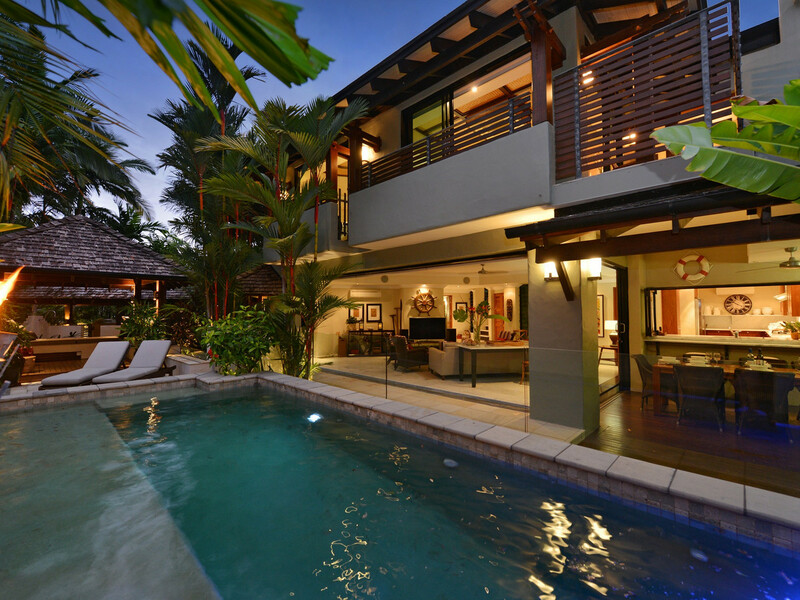 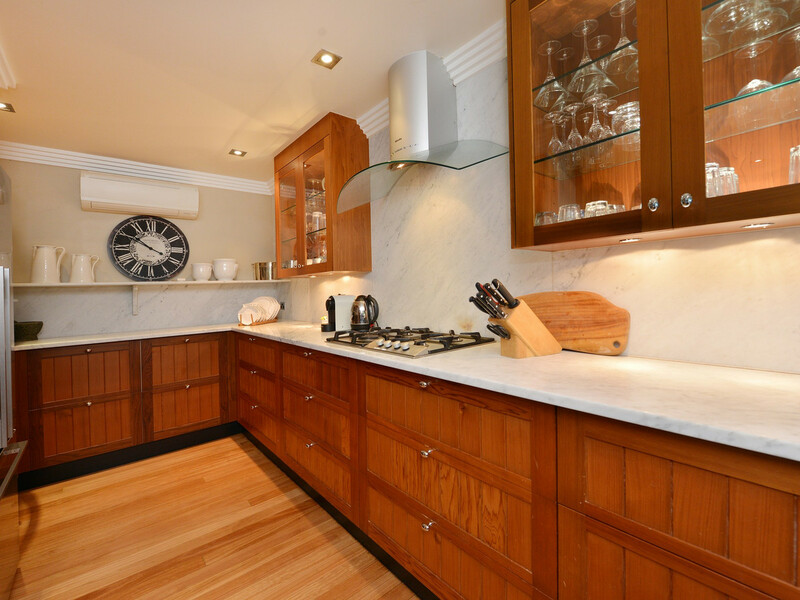 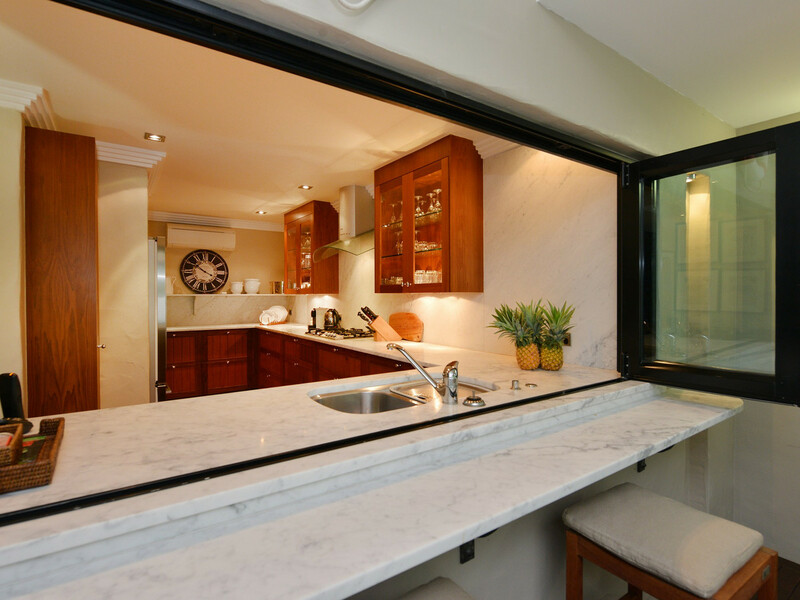 Mix yourself a cocktail, create a gourmet dinner in the designer kitchen or take a swim in the pool. 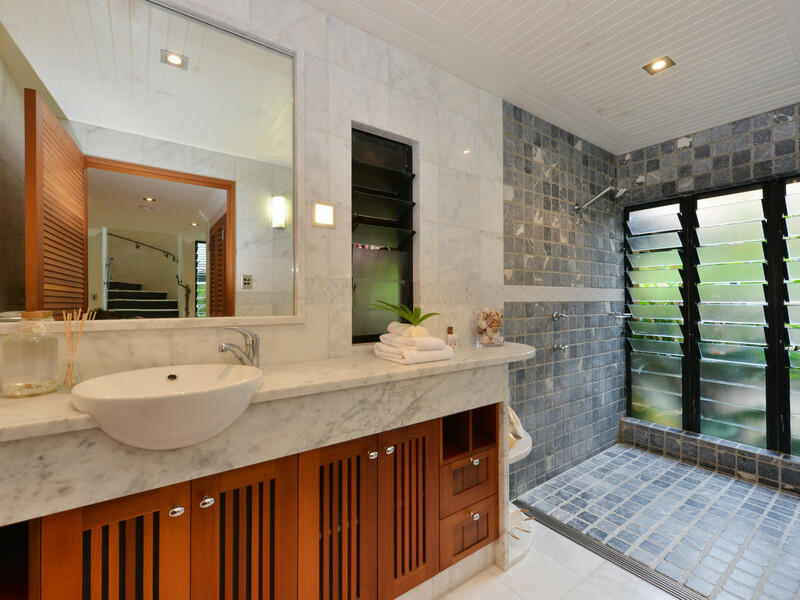 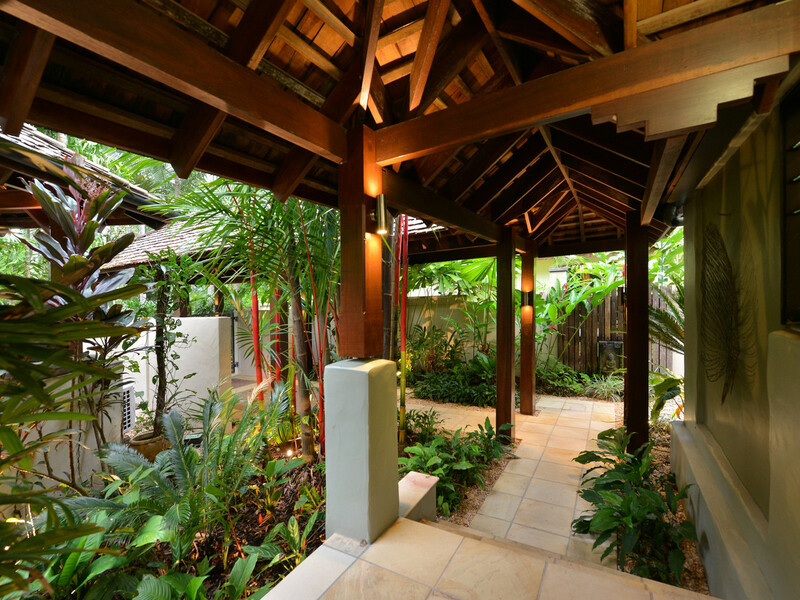 Rinse off under the outdoor shower or recline in the Balinese style pavilion that offers glimpses of the Coral Sea. 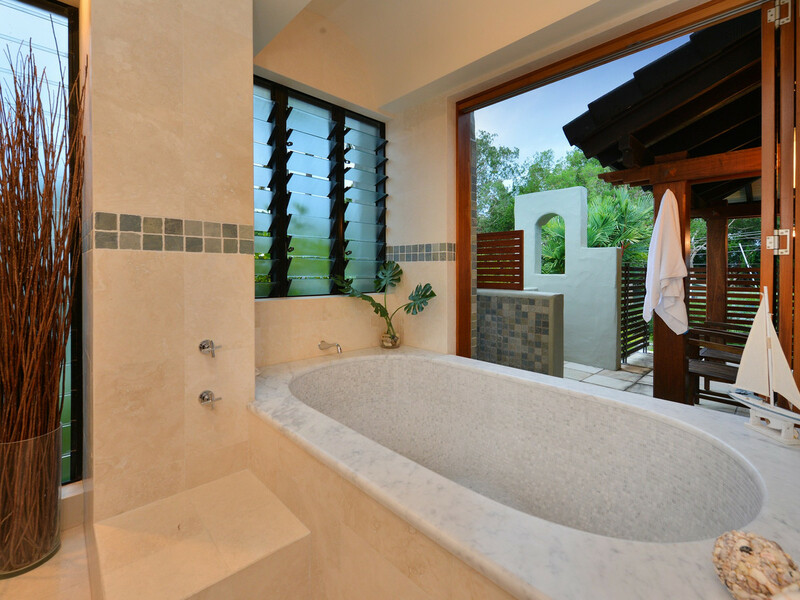 The master bedroom suite features a walk-in dressing room, huge bathroom with a secluded outdoor shower, and a deep tiled bathtub for two. 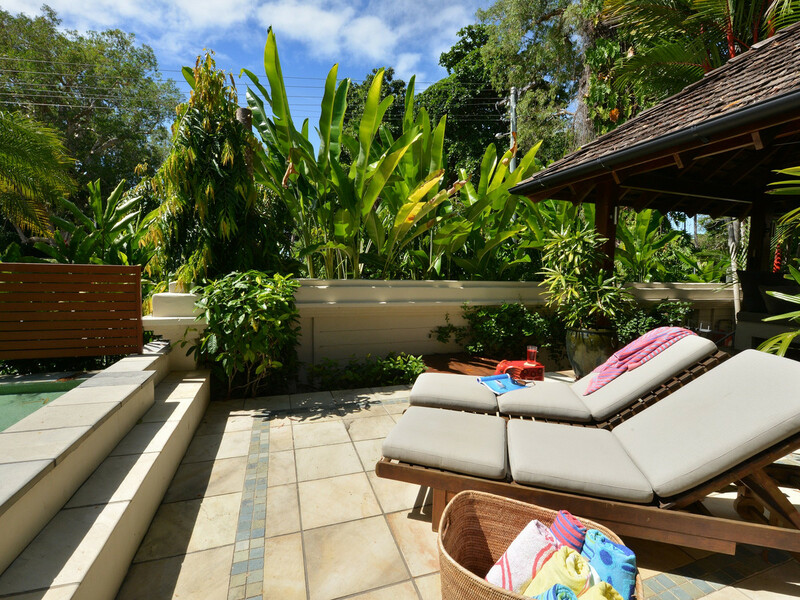 Open the timber shutters and indulge in an al fresco bath for a truly unique tropical experience. 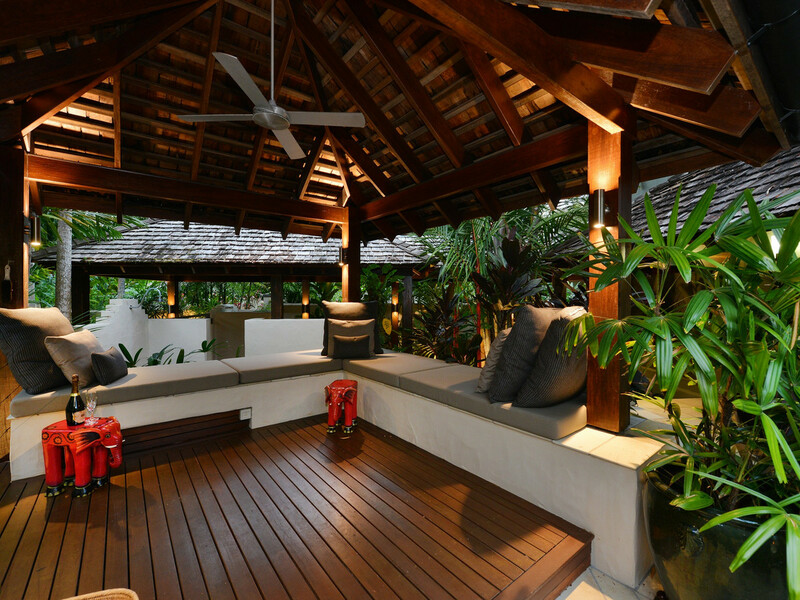 Natural light accentuates the dark timber finishes and the extensive exotic gardens make this villa a little piece of heaven on earth. 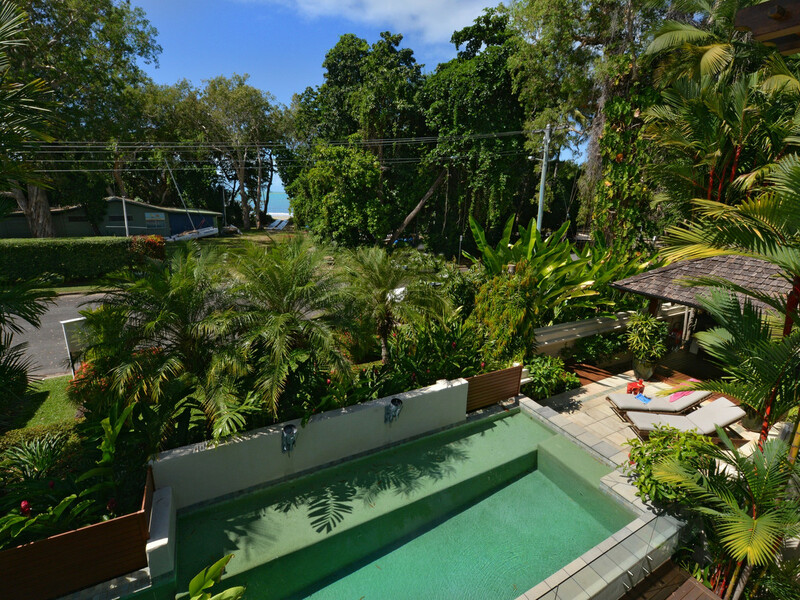 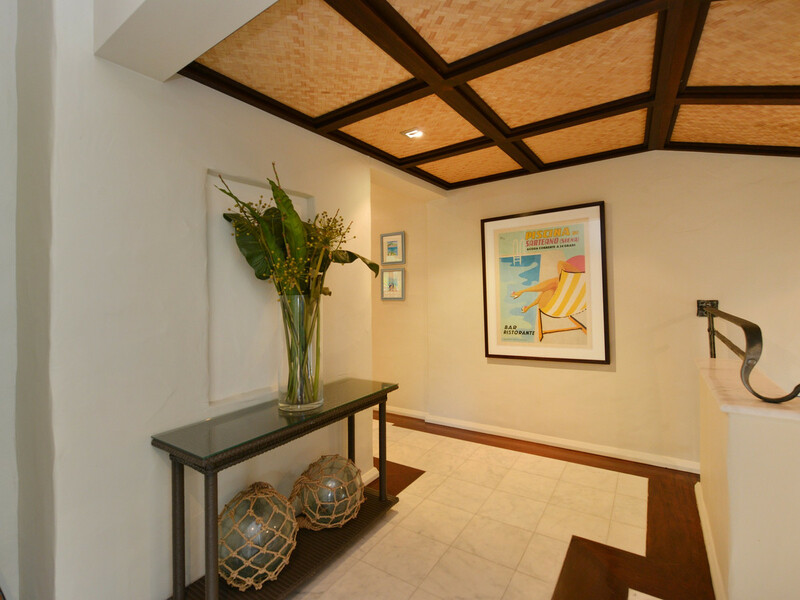 The villa is perfectly situated in the prestigious enclave of Solander Boulevard, across from Four Mile Beach. 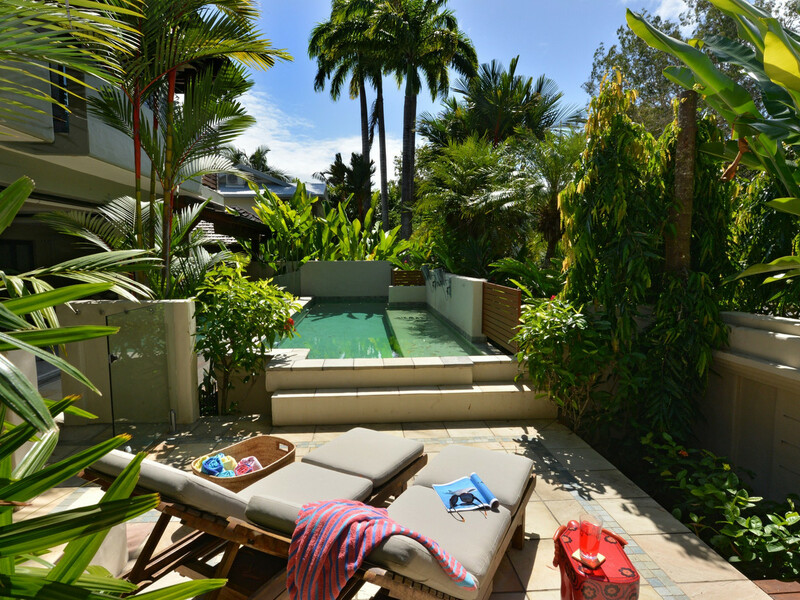 Dive on the Great Barrier Reef or dine out in one of Port’s many restaurants; do as little or as much as you like.